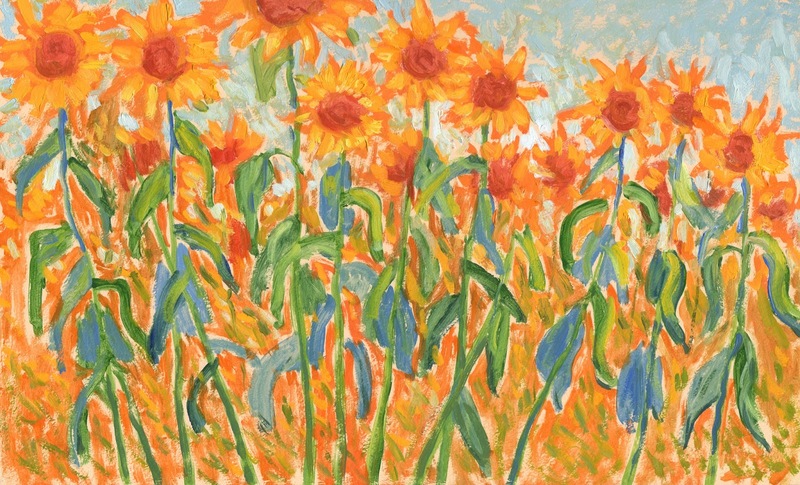 I will be at Perspectives Art Gallery all day during Artwalk, painting a large version of my "Sunflowers" series of paintings. Starting with a blank canvas, I will have a finished painting by the end of the day. Stop by to see the progress during your Artwalk tour.